Check out this little hangout for mariners and other folks in Port Klang. Delectable spread: Chef Gary Ooi presenting the specialities he had whipped up. Although the restaurant is located in Port Klang, seafood dishes are not the main attraction. 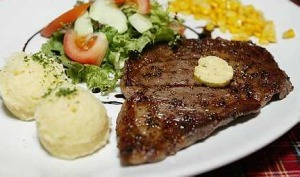 Curiously, the restaurant is actually well known for its fabulous steak dishes as well as different types of soups. The meats are brought in all the way from New Zealand, Australia and the US. As for the seafood, it is locally bought as the owner of the restaurant supports Malaysian products. The chef, Gary Ooi Boon Seng, who has been working there since the very beginning of the restaurant, is indeed an expert in western cuisines and has been working as a chef since he was 18 years old. Now in his forties, Gary says that he has always had a penchant for western cooking since he could remember. Take your pick: D’Tavern has a wide selection of beverages. “We were not as fortunate as the other kids in our neighbourhood, so having any kind of non-local dishes was a luxury in my family. “Food is an important part of my life and I thought then that I might as well become a cook so that I can have whatever my heart desires whenever I feel like it,” Gary says, laughingly. Prior to his stint at the restaurant, he worked in several places such as Eden in Penang, and a restaurant in Genting Highlands. However, he was only working as an assistant chef when he got a call from D’Tavern owner, George Lim, asking him to work in the restaurant as the main chef. He was in Penang at the time of the call. “That was a surprise for me because I never thought I’d be a main chef that soon in my life,” he says. George, who was also present at the interview, says that his cousin was the one who introduced Gary to him. “I needed a chef at the time and no names came to mind so when I received a call from my cousin, I took it as a sign,” George says. When asked why he had wanted to open a restaurant, he gave a simple answer. “It all started with my father, I guess. 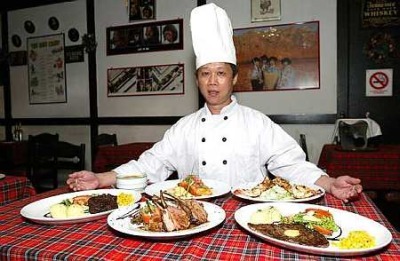 He had a restaurant called Port View and it specialised mainly in Chinese dishes,” says George. However, due to some unforeseen circumstances, his father had to close down the business and that was when George had the idea to open his own restaurant. “Those days, my father’s restaurant was the place to hang out in Port Klang so I wanted to bring that nostalgia back,” says George. 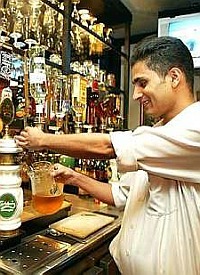 The restaurant has been around for 26 years and it is the place for family parties and celebrations. George and Gary prepared more than the usual five mouth-watering dishes for Sunday Metro to try out. 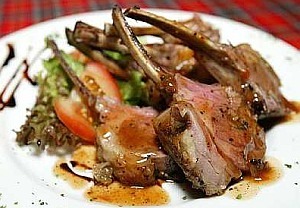 Spread neatly on the table were the Grilled Salmon, Sirloin Steak, US Prime Rib Eye, Fresh Mushroom Soup, Onion Soup, Oxtail Soup, Roast Lamb Shank, Roast Rack of Lamb and Grilled Lamb Cutlet. For those who want to try out the dishes, just pick any one of the dishes above and you won’t be sorry for the long drive to Port Klang. The restaurant is open every day from 2.30pm to 10pm. It is located at No.9 and 11, Ground Floor, Bangunan D’Tavern, Jalan Depoh, Port Klang (Tel: 03-3168 8580).